Because your support is so important to NPH’s work, we have put together this list showing the combination of features that makes NPH unique. At NPH we believe that every child needs a family. Whether children that we support live in a community with a family member or in one of our homes, we strive to give them what’s best about family: love, security, nourishing food, healthcare, an education and a future. We stand by the core principles of NPH’s founder, Father William Wasson: love and security, responsibility, sharing, work, faith and service. Father William Wasson, the founder of NPH, was a Catholic priest, who combined his spirituality with an intensely practical approach to improving children’s lives. NPH isn’t only committed to the current well-being of the children who we support: preparing young people to live independently is a key feature of what we do. At NPH children and youth participate in the daily chores. One of Father Wasson’s principles was “work”, which may sound a little severe these days. But we’re not talking about child labour, where children are deprived of their childhood and their right to development. We’re talking about shared responsibility for the tasks around the home – a hallmark of a successful family. As a children’s organization, NPH has a strong commitment to leaving our planet fit for future generations. In various ways we are making our operations and programmes more sustainable: the use of renewable energy for water heating, solar panels for electricity, garbage separation and recycling, composting and organic gardening. We also run a number of social businesses, where farm produce such as crops, vegetables, eggs chicken, pork and fish supply our own kitchens or are sold to generate income for our cause. 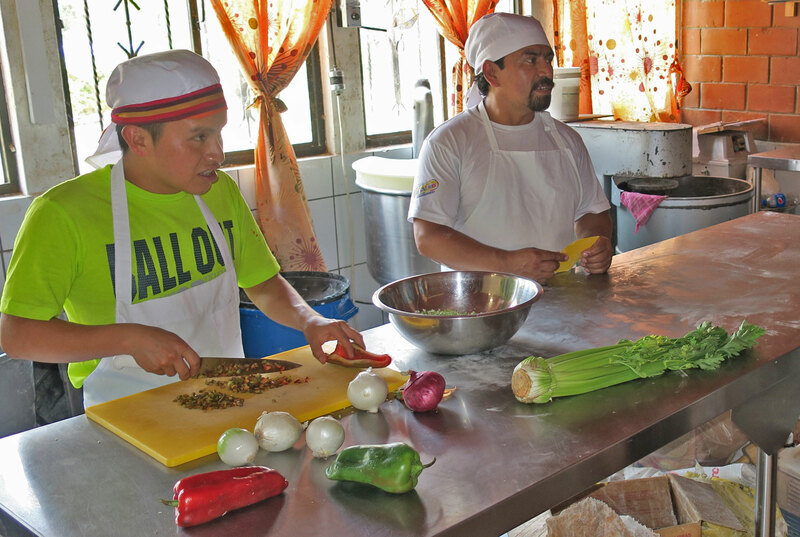 Our on-site café in Guatemala, the St. Luc production centre Francisville in Haiti and the backpackers hotel being developed in Nicaragua set examples in social entrepreneurship and provide vocational training for our students. Improving the lives of children in Latin America and the Caribbean has been the mission of NPH since 1954, when Father William Wasson set up the first NPH home in Mexico. The democratization of Latin America and the shift in world events has deflected public attention away, but Latin America remains one of the regions with the highest levels of inequality and violence in the world, and is beset by many other problems. Consequently the commitment by NPH – and by you – to this region is just as important as ever. NPH is dedicated to improving the lives of children and young people. We don’t do anything else. Consequently we have built up expertise with regard to their nutrition, education, healthcare, protection, professional development and many other areas. In some cases, local circumstances demand a response to children’s needs that is specific to the location, e.g. preventing children from being drawn into criminal gang activities. So the combination of our regional commitment and dedication to children set us apart from many other organizations.